Fact: Oscar-winning rapper/actor Common will have double the reason to celebrate on Friday (13Mar15) as his new movie RUN ALL NIGHT hits U.S. cinemas as he celebrates his 43rd birthday. Quote: "He just was really proud. He said something to me that really touched me, because he felt that I represented all of us people from hip-hop as black men, as people of love, children of God." Common received high praise from Jay Z after winning his Best Song Oscar at the Academy Awards on Sunday (22Feb15). Quote: "What an incredibly moving moment that was, the singing of the song Glory and the two speeches... those two guys... They were amazing speeches, so articulate and beautifully, beautifully done. I'm not surprised people were in tears." Dame Helen Mirren applauds John Legend and Common for their powerful performance of the Selma theme tune at Sunday's (22Feb15) Oscars. The stars went on to win the Best Original Song award for the track and used their acceptance speech to highlight the continued fight for justice and equal rights. Quote: "I really want to do Broadway and I want to go for the Egot!" 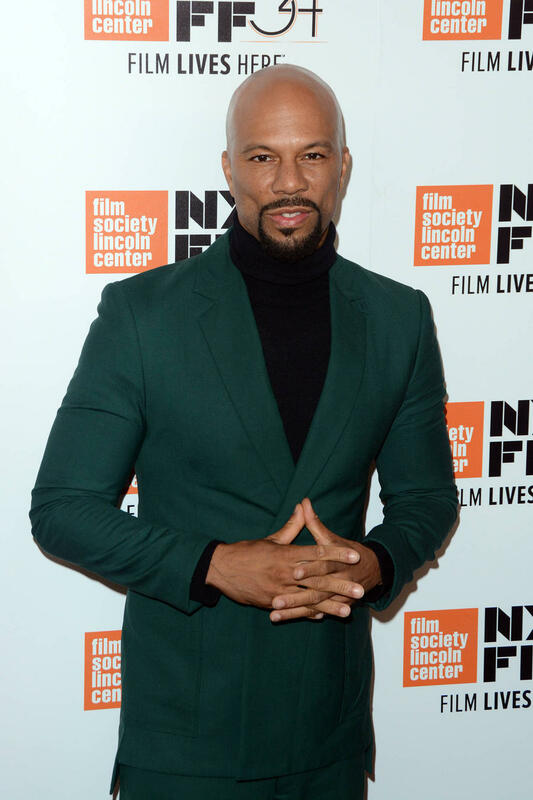 Rapper/actor Common, who is nominated for the Best Original Song Oscar for Selma theme Glory, is keen to star on the Broadway stage to get one step closer to joining an elite group of performers who have earned an Emmy, a Grammy, an Oscar and a Tony Award. Quote: "I talk to my friends about the work they're doing and what they've got going on in their lives and it was funny talking to her because she doesn't dodge the fact that she's Oprah and at one point in conversation, she was talking about buying the (Los Angeles) Clippers (basketball team). 'I may be buying the Clippers.' You don't have those conversations (often)! I guess that's regular for her!" Rapper/actor Common enjoyed unusual daily conversations with his Selma movie producer and co-star Oprah Winfrey. The media mogul was part of a consortium who bid to buy the sports team after its owner Donald Sterling became embroiled in a racism scandal last year (14). Her investment group eventually lost out to former Microsoft chief executive Steve Ballmer, who paid $2 billion for the team. Quote: "We had a dance battle, as you do at black weddings, and apparently, Common was a professional break dancer. He gave us some combination of Ozone and Turbo from (dance film) Breakin' 2: Electric Boogaloo. But I don't think he was drunk, I think that was pure soberness." Actress Gabrielle Union was impressed with rapper friend Common's smooth moves on the dance floor at her August (14) nuptials. Quote: "The thing for me is I cherish our friendship more than music. I'm grateful for the music we did... but we got a friendship that's stronger than that so if... we never make music again, as long as we brothers, we good (sic)." Rapper Common insists he is still close to his newlywed pal Kanye West, despite not working together on his new album, Nobody's Smiling. Common left West's G.O.O.D. Music label in 2011. Quote: "No beef with Drake - we're vegetarians now. It's all good. He's a talented dude. I really respect him." Rapper Common has put his well-publicised feud with Drake in the past. He's not the only one ending spats with the Canadian - Chris Brown teamed up with him for a skit at the Espys sports awards in Los Angeles on Wednedsay (16Jul14). Quote: "When Kanye was 19 years old, he would come to my basement and he would tell me how great he is and outrap me and tell me my friends' pants is whack (sic). So he's the same dude. I love him. He's my brother." Rapper Common praises good friend Kanye West for refusing to let fame change him. Quote: "I'm very excited because Kanye and Kim are great people... He just wants a family, he's a great guy." Rapper Common is thrilled by the news his pal Kanye West and girlfriend Kim Kardashian are expecting their first child. Quote: "She wants to be a lawyer, which I'm very happy with. She got really inspired by the President and the First Lady. Just seeing them, she said, 'I wanna get into law now!'" Rapper/actor Common is thrilled with his 15-year-old daughter's career choice. Fact: Hip-hop star J. Cole and comedian Kevin Hart were crowned basketball champions on Friday night (24Feb12) as they led an East team over rapper Common's West squad 86-54 at the annual Nba Celebrity All Star Game in Orlando, Florida. Hart was named Most Valuable Player. Quote: "When I got injured, I couldn't play for a little while, so I started rapping more. I would be in gym class, and I would, like, get somebody to start beatboxing, and I'd just start freestyling." Rapper Common honed his music skills as a teenager after a basketball injury prompted him to pick up a new hobby. Fact: Rapper/actor Common will release his own autobiography next month (Sep11). One Day It'll All Make Sense will detail the star's rise to fame, his brief retirement from the microphone and previously unheard anecdotes about encounters with rapper Lauryn Hill and U.S. President Barack Obama. Fact: Rapper/actor Common will serve as the keynote speaker at the University of Wyoming's 10th annual Martin Luther King, Jr. March and Day of Dialogue on 18th January (11). The talk will take place a day after the U.S. holiday (17Jan11) and is part of the institution's five-day festivities in memory of the late civil rights leader. Quote: "He is one of the best people I've met in life. He is a goodhearted guy who tries to help out a lot of people... He wants to do well by people, but he still has his own confidence and his own flaws like we all do. Kanye's definitely a good guy, that's why I can say that he's my friend." Rapper Common insists his pal Kanye West always has the best intentions at heart. Quote: "I hit with her a couple of times but it's kind of tough... Me, having an athletic mind-state and not being able to defeat your companion. If I'm playing (card game) Uno, I want to win." Rapper/actor Common refuses to compete against his tennis ace girlfriend Serena Williams on the court. Quote: "Athletes are more flexible." Rapper/actor Common on the benefits of dating tennis champion Serena Williams. Fact: Common is proving to be a supportive boyfriend to lover Serena Williams - the rapper/actor was snapped carrying the tennis superstar's racket bag, handbag and snacks as she prepared to face off against Melinda Czink at the U.S. Open in Queens, New York on Wednesday (02Sep09). Williams went on to crush her competitor, winning the match 6-1, 6-1. Fact: Rap superstar Kanye West has stepped behind the camera to direct the video for hip-hop newcomer DRAKE's new single BEST I EVER HAD. The promo, which was recently shot in Brooklyn, New York, is rumoured to feature cameos from Drake's mentor Lil Wayne, Common, Fabolous and JAY-Z. Quote: "I know they're making the A-TEAM movie and that role would be incredible. God willing I would love to play that role... I can do the sideburns, but I'm kinda bald up here." Common welcomes rumour talk about his involvement in the new A-Team film, but fears he won't be able to pull off B.A. BARACUS' famous mohawk haircut. Quote: "I'm looking to play a superhero, a priest, a doctor, a factory worker, a serial killer... Well, maybe not a serial killer." Rapper Common dreams up some movie roles. Quote: If its something really abusive, Im gonna do what I can to put it to a halt. If (a parent) is just being loud, Im gonna look and let them know Im there. If something really bad happens, Im gonna step into it. Rapper Common won't stand for bad parenting in public. Fact: Kanye West, Common and Kid Cudi have jumped on Lady GaGa's hit single POKER FACE to record an acoustic remix of the song. Fact: Rapper Common has been unveiled as the spokesmodel for new Diesel fragrance Only The Brave. Fact: Rapper Common has been unveiled as the spokesmodel for a range of retro-style T-shirts by software giant Microsoft. One shirt features lyrics from the hip-hop star's 1994 song I Used to Love H.E.R. Quote: "Brad Pitt's a good dude. We hung out and he was a cool cat. (Angelina Jolie's) an incredible mother, a beautiful mother. She has so much realness to her." 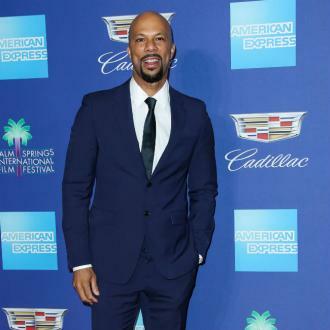 Rapper-turned-actor Common has high praise for the superstar couple. Common stars alongside Jolie in new movie WANTED. Fact: Rap star Common has been added to the cast of the fourth Terminator movie, TERMINATOR SALVATION: THE FUTURE BEGINS. Christian Bale will star in the sci-fi film, which will be directed by McG. Quote: "I pray and hope that it happens. To even be mentioned in that world is an honour for me because growing up you never saw any superheroes that were black. My daughter played Wonder Woman on Halloween so for her to see her dad up there would be beautiful." Rapper Common on his role as THE GREEN LANTERN in the delayed JUSTICE LEAGUE IS MORTAL movie. Fact: Green Day star Billie Joe Armstrong, Mia, Common and Joan Jett are among the musicians who appear alongside the likenesses of late icons Ian Curtis and Sid Vicious in a new advertising campaign celebrating shoe manufacturer Converse's 100th birthday. Fact: Hip-hop group The Roots are to collaborate with rockers Fall Out Boy on a track for their next album RISING DOWN. The disc is also set to feature rappers Common, Mos Def and LUPE FIASCO. Quote: "She is tiny, yet full of life. I love her personality, she has grit." Rapper Common on British pop star LILY ALLEN. Fact: RAY star Kerry Washington only agreed to play rapper Common's love interest in his new video I WANT YOU if she could co-direct the promo. The video features cameos from Kanye West, WILL.I.AM and tennis ace SERENA WILLIAMS. Fact: Hip-hop star Common once worked as a ballboy for basketball team the Chicago Bulls during sporting legend Michael Jordan's tenure with the team. Fact: Actor Jeremy Piven makes a cameo appearance in rapper Common's new music video DRIVIN' ME WILD. The pair co-starred in movie SMOKIN' ACES. Fact: Macy Gray and Common will be part of a SLY + The Family Stone tribute at the upcoming 15th annual ESPY Awards. The U.S. sports prizegiving will take place in Los Angeles on 15 July (07). Fact: Rapper Common - real name LONNIE RASHID LYNN, JR - has launched his own line of headwear and named the collection after his neighbour SOJI, because he "liked the name". Fact: Rapper/actor Common has signed up to star alongside Angelina Jolie in comic book adaptation Wanted, and Keanu Reeves and Forest Whitaker in THE NIGHT WATCHMAN.